Our economy is geared, above all, to achieving growth. In times of recession especially, economic policy is all about returning to growth. But a financial crisis can also be an opportunity for some basic rethinking about what the economy is for, and how through some fundamental restructuring of our financial system we can safeguard our economic stability in the future, as well as achieving wider social and environmental benefits. In recent years, other objectives such as sustainability and wellbeing have moved up the political agenda. 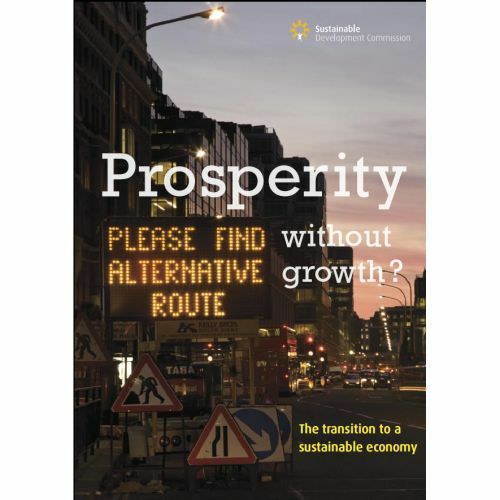 Over two years, the SDC's Redefining Prosperity project looked into the connections and conflicts between sustainability, wellbeing and growth. Following a series of seminars and commissioned thinkpieces, we published the reportProsperity without Growth? The transition to a low carbon economy, written by Professor Tim Jackson, the SDC's Economics Commissioner. Prosperity without Growth? analyses the complex relationships between growth, environmental crises and social recession. In the last quarter of a century, as the global economy has doubled in size, increases in consumption have caused the degradation of an estimated 60% of the world's ecosystems. The benefits of growth have been distributed unevenly, with a fifth of the world's population sharing just 2% of global income. Even in developed countries, huge gaps in wealth and well-being remain between rich and poor.